Summary: After being born, Little Miss Spider searches for her mother. Betty the Beetle helps her search. When they are unsuccessful, the Betty comforts the little spider and then lovingly takes the baby spider into her beetle home. Hanna’s Comments: The first in a delightful series for young children that celebrates families and friends who are loving but diverse. 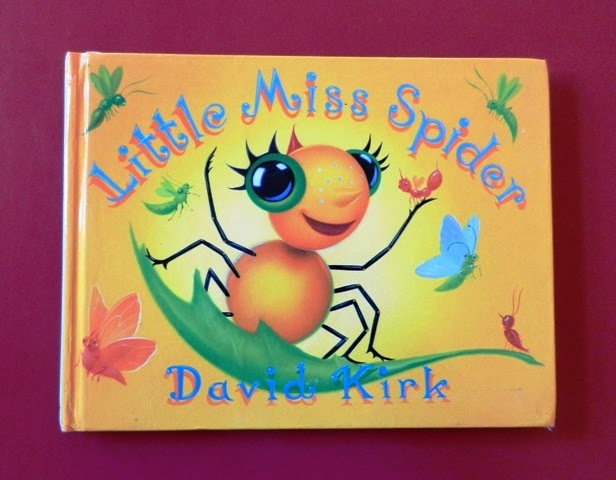 Formats other than Book: audio cassette, Nick Jr. has a video series about Miss Spider as an adult.